Happy Labour Day! Back tomorrow! Only one week left to get your name in for the draw for a complimentary 60 minute massage for doing a Google and / or Facebook review of my Massage Therapy services!! The winner will be announced on September 1st. 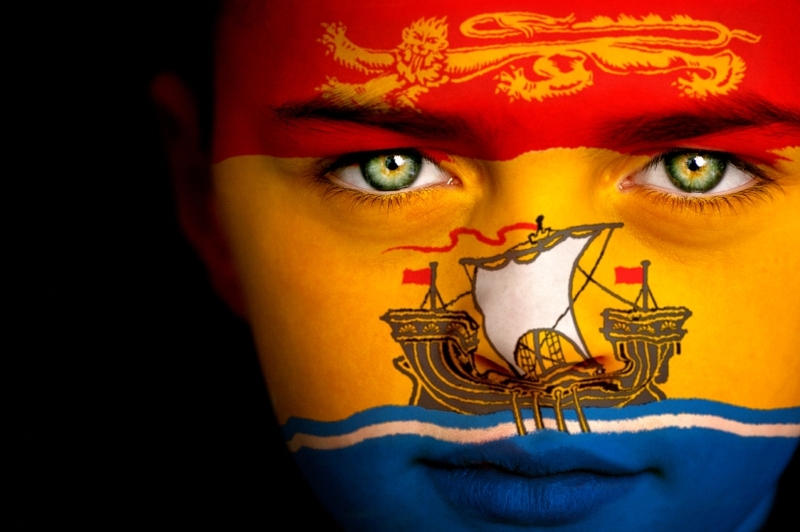 Happy New Brunswick Day everyone!! Got your name in yet? hey everyone! 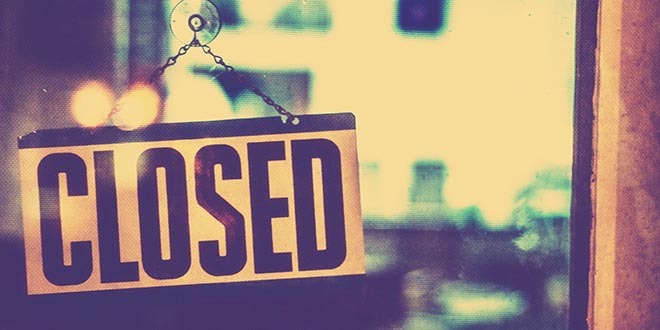 Just a reminder – until August 31 I am requesting that clients review my services on Google and /or Facebook.. As a BIG thank you, your name will be added to a draw for a complimentary 60 minute massage.. The winner will be announced on September 1st. hey everyone! From July 1 to August 31 I am requesting that clients review my services on Google and /or Facebook.. As a BIG thank you, your name will be added to a draw for a complimentary 60 minute massage.. The winner will be announced on September 1st. Massage and Gift Basket Draws!!! Write a review on Krista’s Google and /or Facebook page between July 1 – August 31 and have your name entered into a draw for one free 60 minute massage! 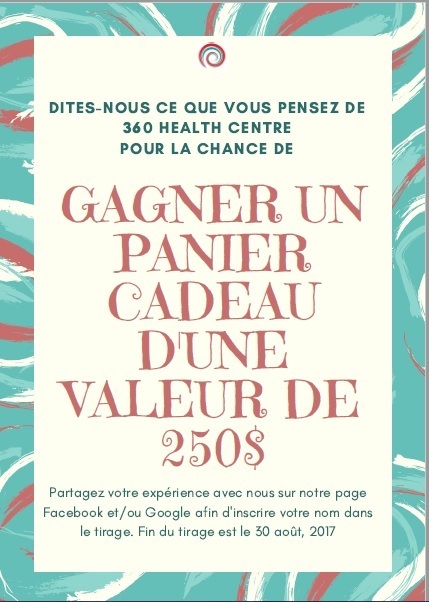 Your name will be entered into the draw 2 times if you do both Google and Facebook! ALSO!!! 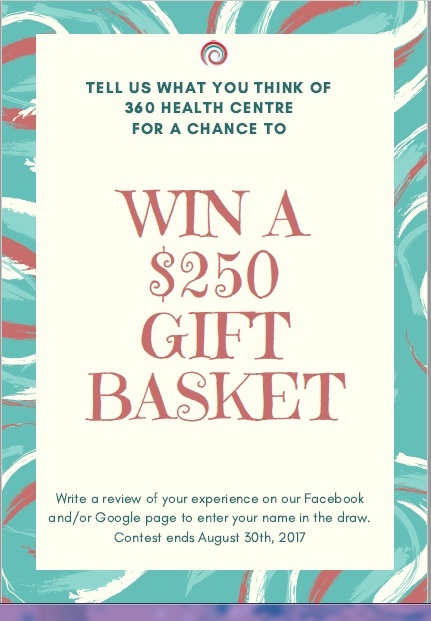 Write a Google and/or Facebook review for the 360 Degrees Health Centre between July 1 – August 31 and have your name entered into a draw to win a gift basket valued at $250… Good luck everyone! !